YJ DeFenders Solid Inner Fender Kit for Jeep Wrangler YJ 1987-1996. When installing Poison Spyder DeFenders, the Inner Fender kit provides splash protection to the engine compartment as well as a place to mount under-hood accessories. 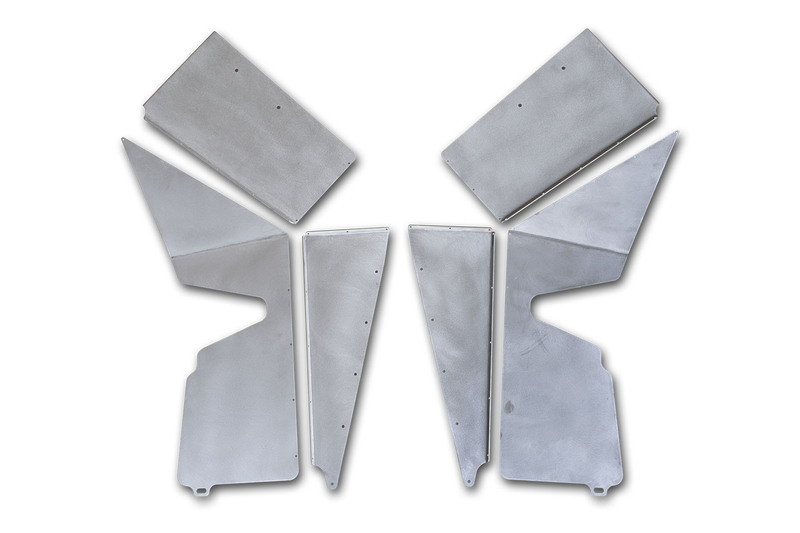 The Inner Fender Kit also provides for a complete, bolt-in DeFender installation for those who either do Not have their Stock inner fenders or would rather sell them than cut and re-use them.